For Windows 7, 8 and 10: software driver download link (version 3.26, released on 5/3/2016). For Windows XP and Vista: software driver download link (version 2.24, released on 2/23/2015). Please unzip the downloaded package and double-click on the "setup.exe" file, then follow the on-screen instructions to finish this installation. Select the HA-1 as your sound output device by setting "Control Panel -> Hardware and Sound -> Sound -> Playback" to "OPPO HA-1 USB Audio 2.0 DAC". For Mac computers, no software driver is required. 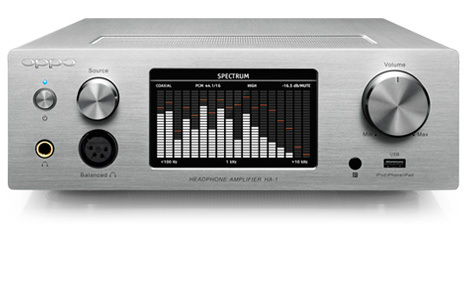 Please set "System Preferences -> Sound -> Output" to "OPPO HA-1 USB Audio 2.0 DAC". For recent Linux systems that support USB Audio Class 2.0, no software driver is required. For Chrome OS, no software driver is required.